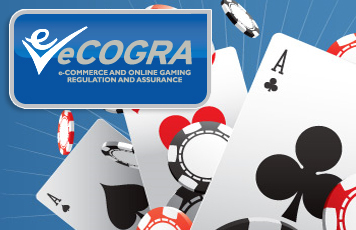 Spin3, a division of Spiral Solutions Limited and a provider of mobile gambling technology, games and services has become the only specialised mobile gambling platform to earn the Safe and Fair accreditation seal from eCOGRA. The audit confirms that the development, implementation and maintenance of the Spin3 mobile software is representative of industry best practice standards. Andrew Beveridge, CEO of eCOGRA, congratulated the management and staff of Spin3 on the accreditation, commenting that the facilities had been impressive and were presented for a full and practical inspection in a very professional manner by Spin3 staff. “Spin3’s software had already passed with flying colours a thorough review during earlier eCOGRA inspections, when some of its clients applied for our mobile casino operator accreditation,” said Beveridge. “It was pleasing to see that the same level of attention to detail, efficiency and fair gaming was found in the other facets of its business as a provider when our auditors engaged with them on this wider review,” he added. Spin3 Head Matti Zinder said that his company appreciated the value of an eCOGRA certification in a business standards sense but had felt that it should also match the commitment of many of its clients in achieving the full accreditation of its services as a supplier. “We already knew that the quality games we develop for mobile applications through our association with the Microgaming group would more than pass muster, but it gives us an added level of confidence to know that the many other facets of our business meet best international practice standards and will be monitored to ensure this level of efficiency is maintained,” he said.